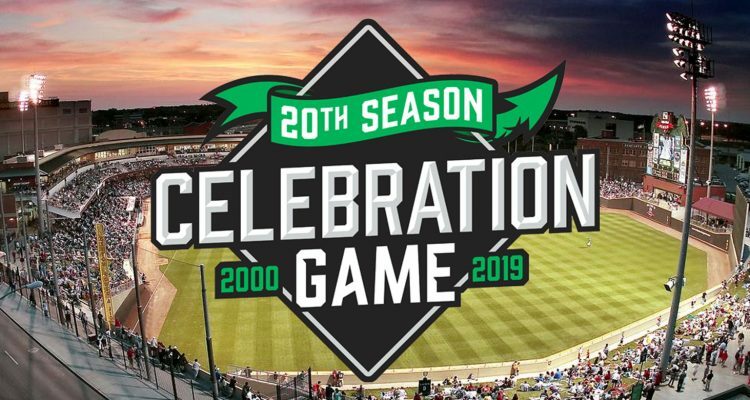 The Dayton Dragons will be hosting a 20th anniversary celebration game on March 30th. It was announced two weeks ago, and you can read a little bit more about it here if you’d like. The game will be a “Futures Game” kind of event. The 2019 Dayton Dragons roster, which has yet to be named, will face off against a team of current Cincinnati Reds minor leaguers who have played in Dayton in past seasons. Dayton Dragons tickets are hard to come by, as nearly all of the seats are taken up by season ticket holders. For a game like this, there aren’t likely to be many seats available, but there are some and they go on sale Wednesday morning at 10am. You can buy them online at daytondragons.com/celebrationgame. You can also buy them through the Dayton Dragons box office via telephone at 937-228-2287 or Ticketmaster by telephone at 937-228-2323. Tickets will also be available at the box office at Fifth Third Field from 10am-5pm Monday through Friday. If you are interested in the game, I’d suggest trying to get tickets as soon as you can. As noted above, the 2019 Dayton Dragons roster won’t be known until a day or two before the game. 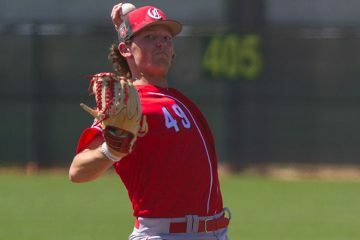 Minor League spring training runs up to the game and some of the roster won’t be decided until near the very end of camp. But the players that are going to be on the alumni roster seem to be nearly set. It’s worth noting, of course, that this roster could easily change. Some of these guys are in Major League spring training and could win a spot on the roster. Trades or injuries are always a possibility, too. By my count, this team features nine of the Cincinnati Reds Top 25 prospects. 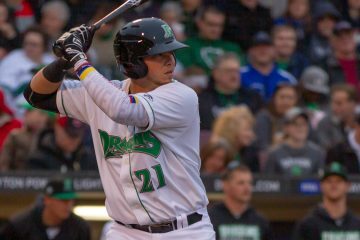 The team that will be the 2019 Dayton Dragons could have have a handful of others – six of the Top 25 players have not yet reached A-ball, but could certainly make the Dragons squad to start the season. Does Greene being on the “former Dragons” roster indicate he will start the year in Daytona? Or does it simply mean he’s a former Dragon because he’s been on Dayton’s roster before? I’ll be surprised if he doesn’t start in Daytona. Keep him in the warm weather, and he’s got some experience in Dayton already. Then insert PH, defensive replacements, or pitching changes as they see fit to get the other guys in (or not). Duke, you get my vote to manage this game. Nice lineup … lots of talent! Is it weird that Siri isn’t on that list? Didn’t he have that huge hitting streak while in Dayton? I’d think he’d be someone the fans would want to see. Reading between the lines, is it possible that he’s going to get a really serious look as the 5th OF and defensive CF for the big league club? When the announcement was made, I was trying to not die (I was incredibly sick that day, thought that I might need to go to the hospital at a few different points during the 11pm-11am stretch), but that day there were five guys named as “alumni”. Among them was TJ Friedl. 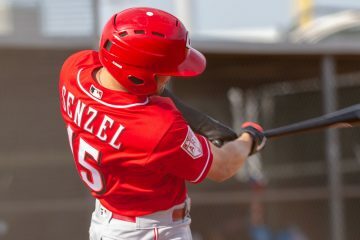 At that point I kind of said to myself: Well, I guess that despite having success in Double-A, playing center field, and the team needing a center fielder, he’s not actually being considered as an option to start the year in Cincinnati. So, no, I’m not sure you are off in your thinking about Jose Siri here. While I’d still be surprised if Siri made the club out of spring training, I do think that his lack of being here at least means they understand that it may be necessary given the other center field options. 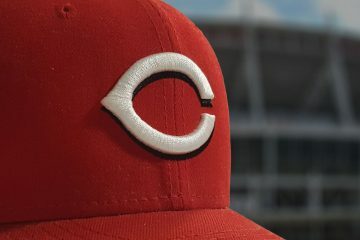 Mlb has gray as reds opening day starter. I get why u want to pitch your best pitcher first due to probability of getting most starts and gray is reds best start but I think I’d plug him in 4th so he can start first game we play against brewers. Gray and Roark going against brewers 4/5 starters puts reds in good position to get some key wins. Doesn’t he pitch against the Brewers even if he pitches opening day. I think the Brewers finish in 4th/5th battle with the Pirates anyway. Don’t see much difference there. I like Castillo, Gray and Wood vs. the Pirates and Roark, Castillo and DeSclafani vs. the Brewers. The only difference between these two rotations is you have the Reds fifth best SP getting two starts vs. the Reds best/2nd best. My rankings for Reds SP right now. I’d pay exactly zero attention to what someone is listing as the opening day starter right now. Stephenson makes Fangraphs top 100 prospects list!!!! Got my tickets. Maybe they shouldn’t call them the Alumni Team, maybe they should call them guys we tried to but didn’t trade this offseason. Really looking forward to an up close look at some exciting future Reds. At least these guys know they aren’t getting released. “LESSONS LEARNED: Makeup matters; strikeouts bad; great tools don’t always compensate for poor skills.” Siri’s limited success was resultant of feasting on garbage, lower-level pitching. He will have predictable failure at the higher levels. Goofiness? Oh, you mean he show’s emotion when he plays. Man, what an awful human being. Tell us how you really feel my man. Answer: None. So, people need to get real and instead talk about outfielders like Bautista, who appears to be a legit prospect, who has size, speed and hit tool, as well as a low K%. Hey Doug, who do you predict will be the starting infields and catchers from AA down to Dayton? Wondering where India will start and what position. Thx.